Strand is a character on the TV show Fear the Walking Dead a spin off series of The Walking Dead. The characters in the Fear the Walking Dead have not appeared in the Walking Dead comic series. 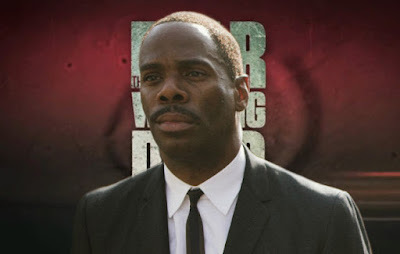 Strand is played by Colman Domingo. Strand is a mysterious character with an enigmatic past. Strand appears to have a great deal of wealth as his home is revealed to very large and he has access to a top of the line yacht. It seems that Strand was planning on escaping out to see potentially prior to the zombie apocalypse. The Military takes over LA and Strand is brought in a holding area in a base. Nick is also arrested and brought into the military base. Strand is shown being pragmatic and works deals with soldiers to provide them watches off of dead or dying prisoners. Strand identifies Nick as a potential asset. He says that an addict may have the best experience and mind set to survive situations like that. In Season 2, Strand stays up for days sealing the ship out to deep water. He refuses to save people outside the group or in boats at the water. Strand is greatly angered when Alicia begins talking on a radio to a survivor named Jack. Alicia reveals that her group is on a yacht and their rough position. Strand refuses to help Jack. Strand later talks to Nick after Nick tries to explain that Alicia was trying to help. Nick what his purposes is. Strand asks Nick how many times he has faced death. Nick says that he faced death every time he used. Strand says that the fearlessness of being an addict is an asset in this new world.